cat eyes & skinny jeans: OPI Joins DEGEN at New York Fashion Week! OPI Joins DEGEN at New York Fashion Week! OPI joined designer Lindsay Degen for the DEGEN Fall/Winter 2014 presentation! 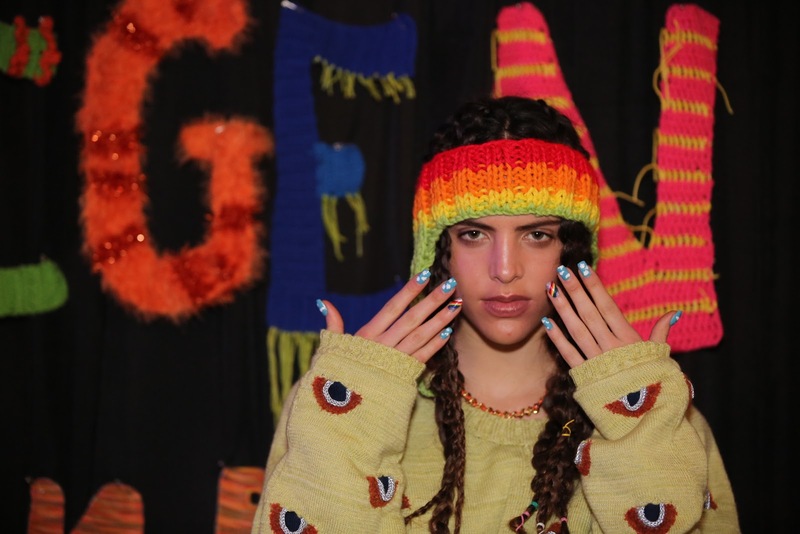 Models wore short, squared tips featuring a blue sky/cloud nail design on all fingers except ring fingers, which were painted with a rainbow atop a chrome, glitter base. The designer selected this bold and colorful nail look to complement bright knits and reflective fabrics. The rainbow theme was continued throughout the clothing and an LED rainbow backdrop. Looks like such fun! Sweet Sunday post! lovely nail do, have to try that too! OMG those are so cute! Ah, the perks of being a model, bright, awesome nails! Oh incredible. I need to have more fun when it comes to doing my nails. EricDress: Share Your Personal Style for Cash! OPI Launches NEW Color Tinted Top Coats! NOTD: Ciaté Paint Pot in Encore! OPI Joins Joie at New York Fashion Week!